The Ultimate Gift Card is the only gift card you need. Available in over 500 stores across the country, it's the perfect gift. 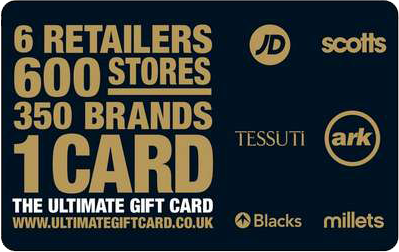 You can use it in any of the retailers listed below along with of course, scotts Menswear.